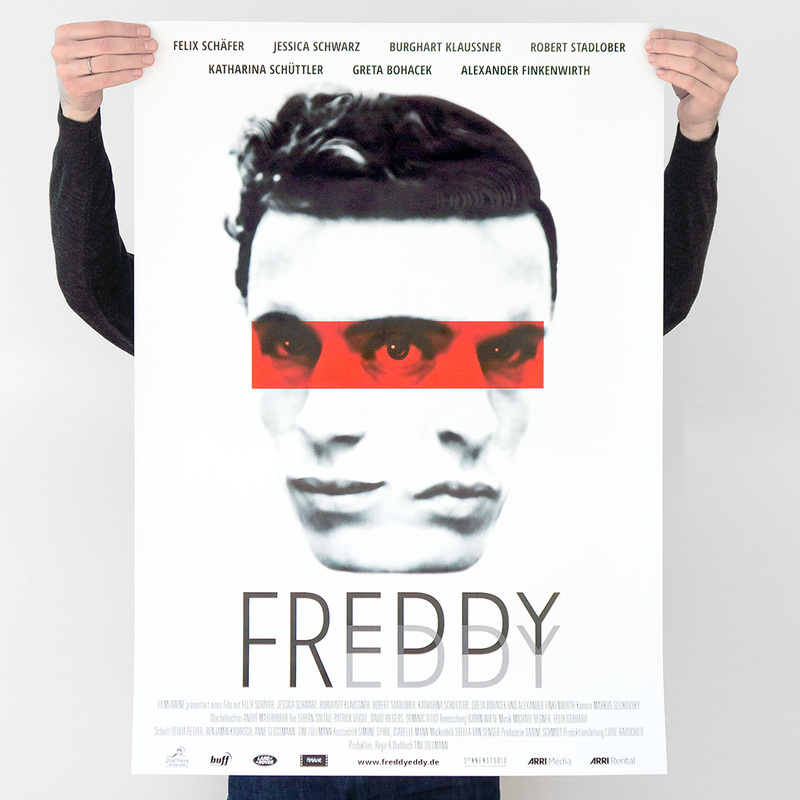 Poster and graphic design for the movie Freddy Eddy. Freddy Eddy is a thriller playing with the elements of schizophrenia/doppelganger. The poster adopts the topic of a split personality and creates a mood of confusion and irritation that reflects on the atmosphere of the movie itself. The red square symbolizes the act of wearing a mask and becoming someone else.